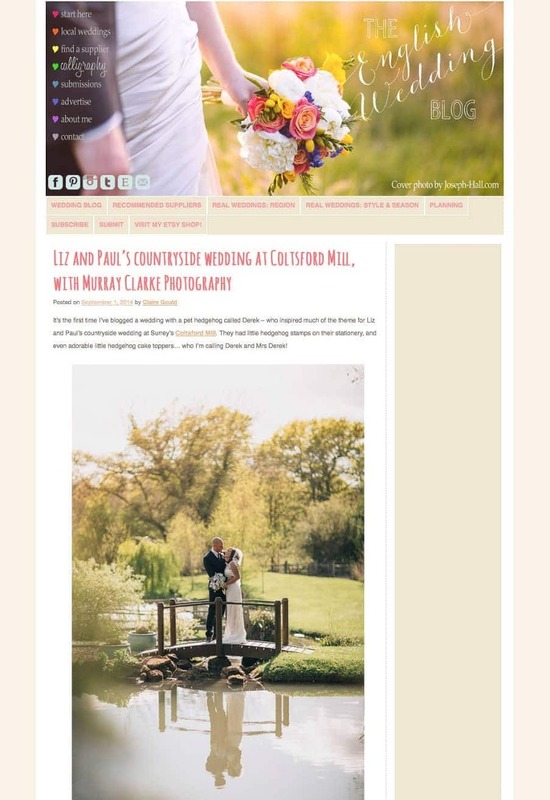 This week Liz and Paul’s big day at the beautiful Coltsford Mill is being featured on the notable English Wedding Blog. Thanks so much to Claire for featuring this great wedding. Please click here for the full article.